I felt like an overly excited kid seeing this Kiwi Crate waiting for me on my doorstep, encouraging me to explore and create. 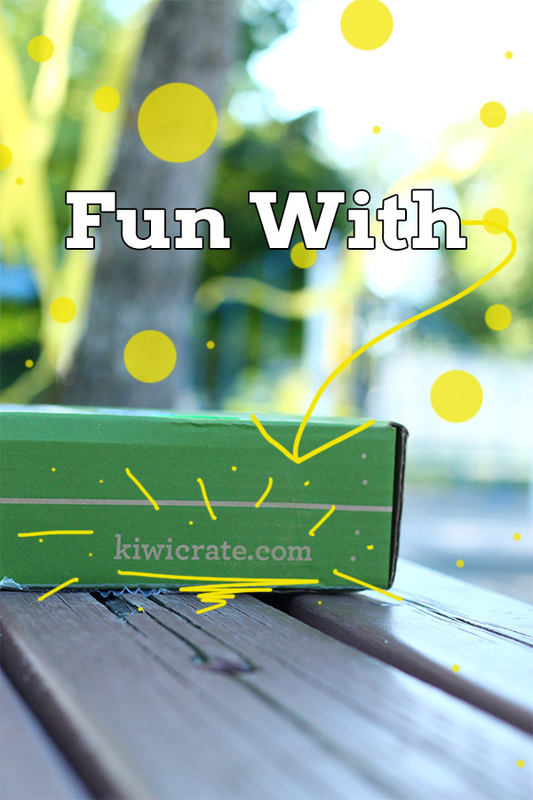 Are you familiar with Kiwi Crate? 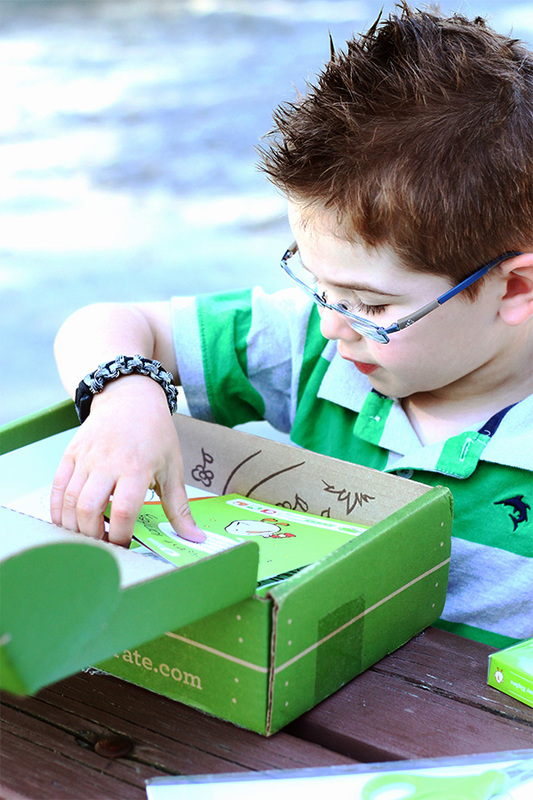 It’s a kids craft delivery service sent right to your door once a month. 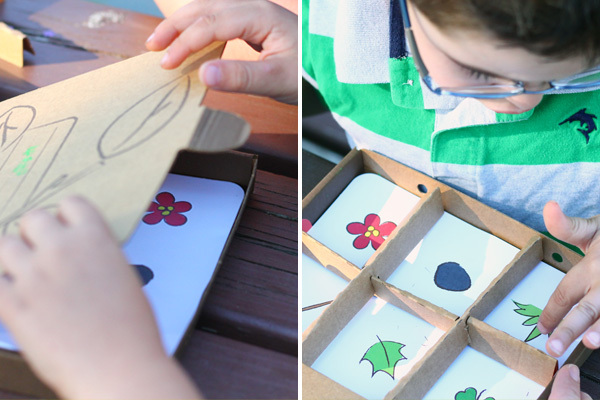 The box is filled with crafting supplies to create two fun and easy projects. 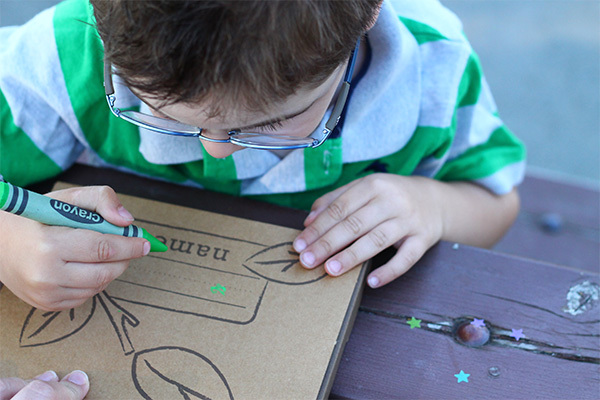 This month’s box had everything we needed, including easy to follow instructions for parents or older kids, scissors, jumbo crayons, an adorable star paper punch, and even a pack of cards just for fun! If I bought all the materials separately I would easily spend over the $20 cost of the box. 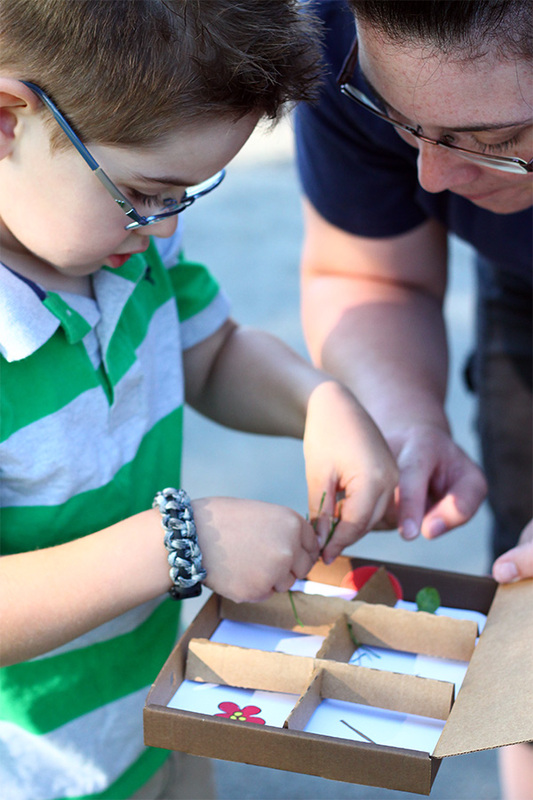 The boxes are themed and we were lucky enough to receive the Summer Discovery box which encourages kids to get outside, explore and play. 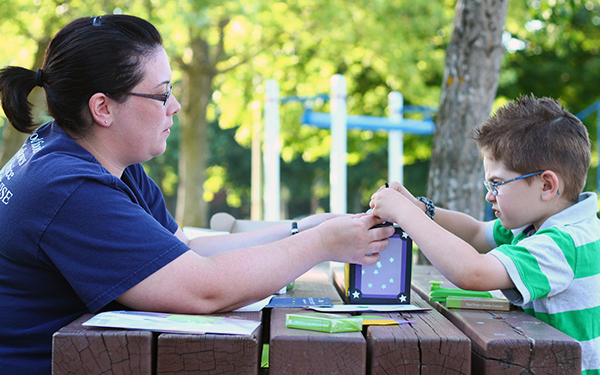 I had such a blast with with my friend Tina and her son Jake, crafting and exploring in the park with Kiwi Crate. Naturally, being a teacher, I examined the box from an educational standpoint. If Kiwi Crate got a report card it would be proudly displayed on the fridge. 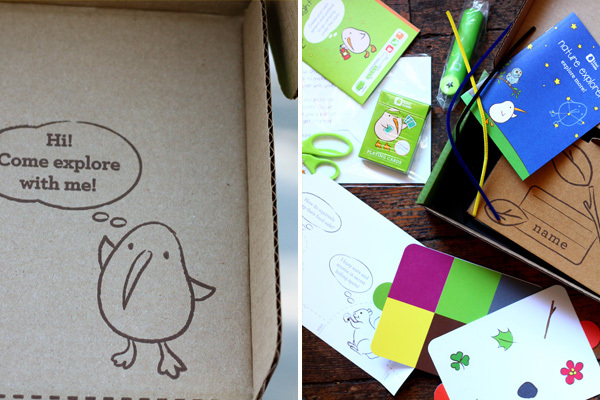 Kiwi Crate is geared toward ages 3-7, and they’ve done an impeccable job making sure each craft appeals to this wide age range. What impressed me the most was the constellation map for the lantern. 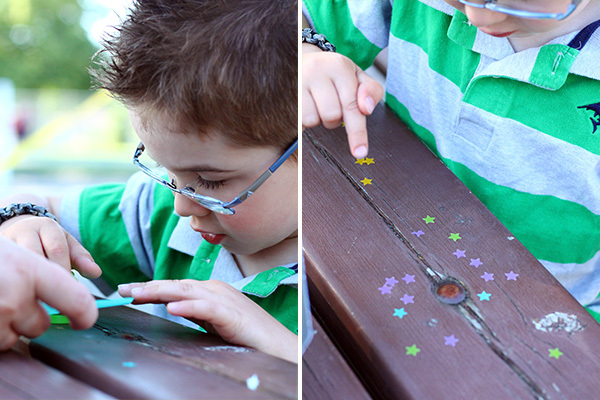 Younger kids could stamp out any array of stars, just like Jake did. 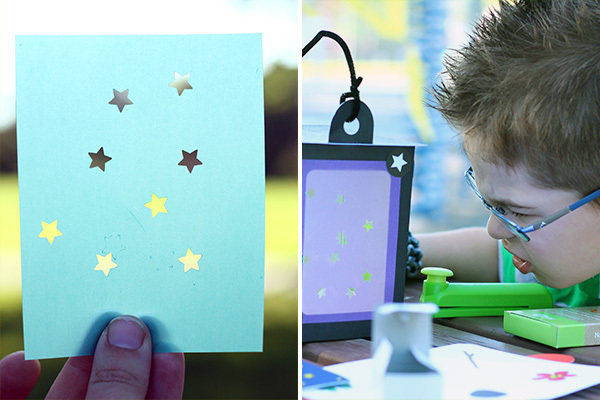 But the constellation map allows older children to learn, challenge themselves, and stamp out an actual constellation on their lantern. This is perfect for kids entering grade 3 where space is a big part of the science curriculum. 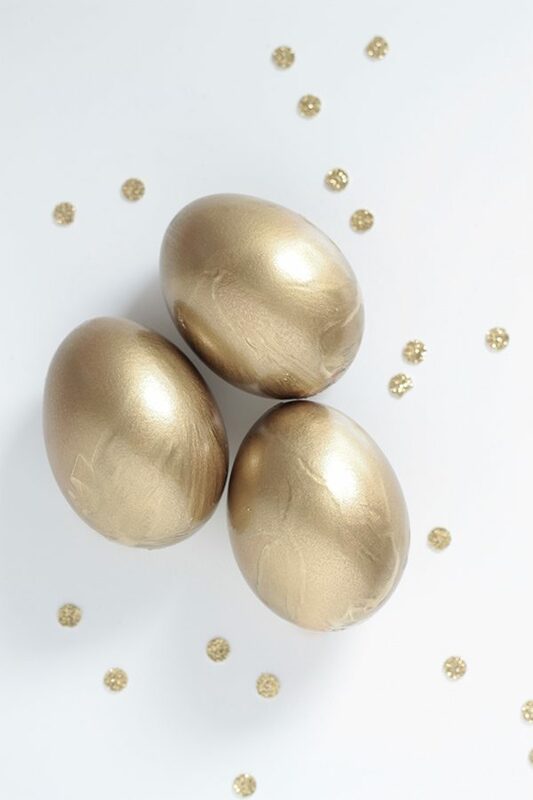 I was amazed at the perfectly executed length of time needed to complete each craft project. Having a shorter attention span, kids can’t sit and focus on a long crafting project (or anything) like a determined adult might. Just as Jake was starting to get antsy after about 15 minutes of crafting, he was done and ready to play with his newly made toy. 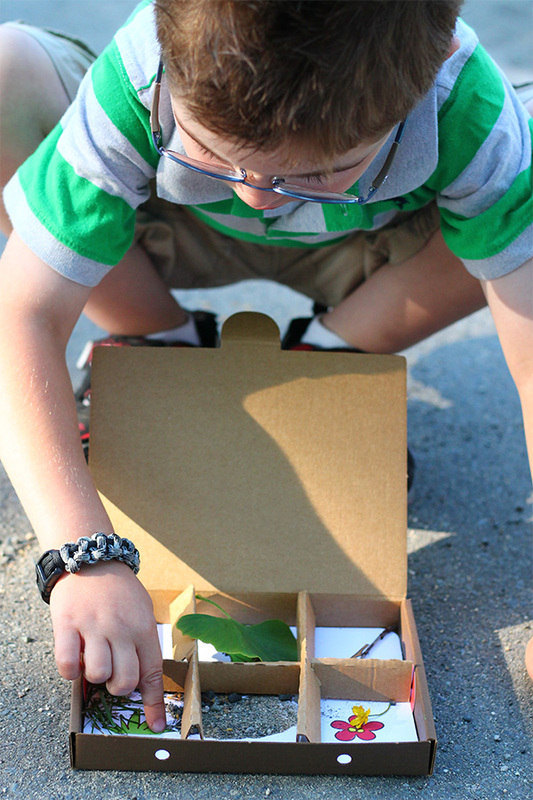 He was particularly excited to go on a nature scavenger hunt with his cardboard ‘briefcase’. Kiwi Crate is giving Squirrelly Minds readers 25% off your first month subscription! Just use the promo code Squirrelly25 before it expires on July 17th 2013. Valid for new customers only; not valid for sibling add ons. This post is sponsored by Kiwi Crate, but all words and opinions are truly my own. It’s amazing what people have come up with lately isn’t it? We had such a great time. Awesome little box of crafts! Definitely going to look into ordering a crate or two!!! Thanks Tanya for the great crafting day! Thank you two for all the fun! This looks like so much fun! I will definitely be checking this out. Thanks for the review!